MESA, AZ, December 10, 2017 /24-7PressRelease/ — While young women in the United States have a plethora of movie stars and musicians to look up to, many believe that the best role model is one of a strong, confident woman who is constantly succeeding. In the opinion of one leading women’s physician, there may be no one who embodies this better than the current White House Press Secretary, Mrs. Sarah Sanders. On a daily basis, Mrs. Sanders holds press conferences where she stands her ground for hours, facing blood thirsty reporters and hostile questioning with ease and grace. Always composed, Mrs. Sanders is brilliant, assertive, and always extremely well prepared for the daily onslaught of questions. She’s a confident young woman at the peak of her career, succeeding and leading. “When it comes to a discussion of role models with my young patients, I always suggest Sarah Sanders.” Said Dr. Greg Marchand, a leading women’s physician in Mesa, Arizona. One of the most amazing facets of her career is that she faces this kind of adversity every single day in her press conferences. 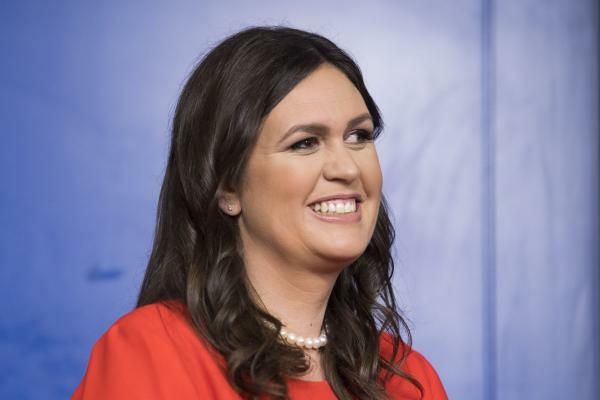 In addition to being the White House Press Secretary, which is the spokesperson for the President, the 35 year old Arkansas native is a graduate of Ouachita University, as well as a wife and mother of three children. She juggles a full schedule of White House responsibilities and was named one of the 40 most influential young people in politics in Time Magazine’s “40 under 40” in 2010. Despite all her responsibilities she always appears brilliant and well prepared as she faces the press everyday.